This first class camera provides 18x optical and 12x digital zoom in day/night setting. 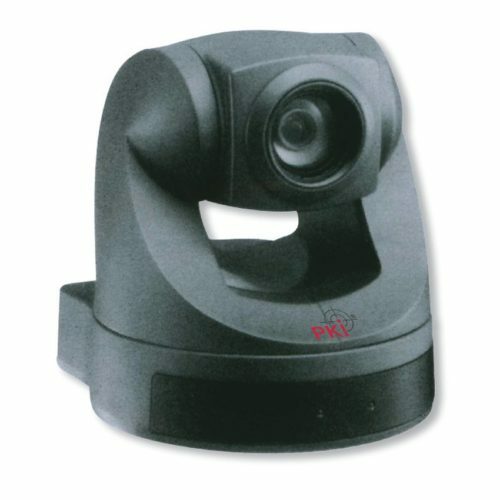 This PKI Mini Pan/Tilt Camera, equipped with a resolution of 470 TV-lines and a sensitivity of 1 lux, is designed for use on tables or on ceilings. On special request this camera can be delivered in a weatherproof covering. Besides various different functions it is possible to preset 6 positions which later can be recalled automatically at the touch of a button. All functions can be triggered wirelessly through our telemetric control (see PKI surveillance case).